Guidelines pertaining to pharmacogenetics have been developed by the Clinical Pharmacogenetics Implementation Consortium of the National Institutes of Health. 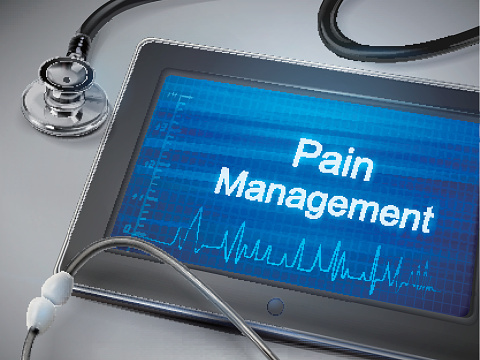 LAS VEGAS – During their presentation at PAINWeek 2017, taking place September 5-9, Jeffrey Fudin, PharmD, and Timothy Atkinson, PharmD, BCPS, CPE, provided an overview of how pharmacogenetics may be leveraged for optimal pain management.1 The presenters summarized known links between certain pharmacogenetic variants and responses to pain medications, presented cases in which pharmacogenetics may be useful, and demonstrated how an individualized pain management plan may be crafted based on a patient’s pharmacogenetic profile. Dr Atkinson provided scenarios in which pharmacogenetic tests need not be performed. For example, for some CYP2D6 variants, only the ultrarapid and poor metabolizers were shown to display a significant effect on dosing, and the latter may require a higher dose of pain medications, which is a rare occurrence. In addition, some CYP2D6 variants only have a minor impact on minor active metabolites and a profound effect only on weak opioids and prodrugs. Polymorphisms in the μ-opioid receptor gene OPRM1 were shown to have a profound effect solely on weak opioids and prodrugs. Dr Fudin serves as a consultant and as an advisory board member for several pharmaceutical companies including AstraZeneca and DepoMed. Dr Atkinson serves as a consultant for Axial Healthcare. Read more of Clinical Pain Advisor’s coverage of PAINWeek 2017 by visiting the conference page. Fudin J, Atkinson T. Pharmacogenetics: to test or not to test? Presented at PAINWeek 2017; September 5-9, 2017; Las Vegas, NV. Relling MV, Klein TE. CPIC: Clinical Pharmacogenetics Implementation Consortium of the Pharmacogenomics Research Network. Clin Pharmacol Ther. 2011;89(3):464-467. Ma JD, Lee KC, Kuo GM. Clinical application of pharmacogenomics. J Pharm Pract. 2012;25(4):417-427. Fudin J, Atkinson TJ. Personalized oxycodone dosing: using pharmacogenetic testing and clinical pharmacokinetics to reduce toxicity risk and increase effectiveness. Pain Med. 2014;15(5):723-725.